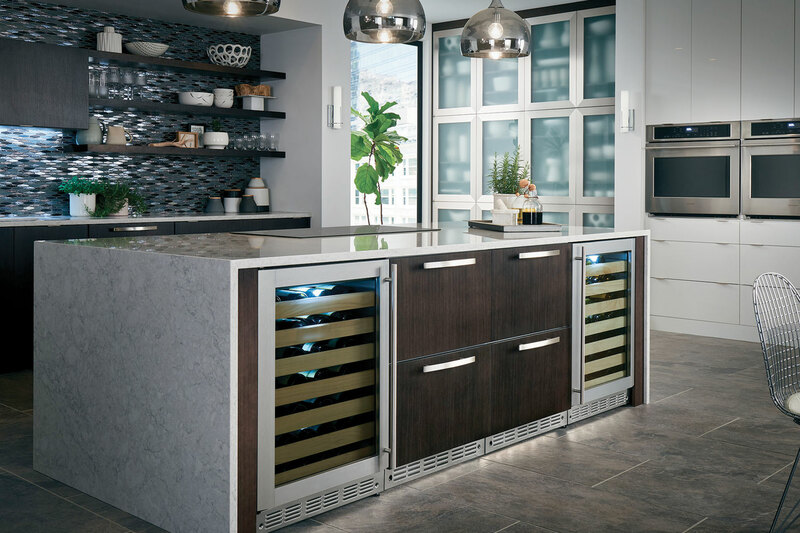 We came across this stunning kitchen designed by Louisville, Kentucky-based Katie Reece with Century Entertainment and Furnishings and were so impressed we had to learn more. Katie: I grew up with art always being my first love and design just fell perfectly into that love. I still hand draw all of my plans and elevations for clients. This is my true passion and it affords me the opportunity to impart this passion into their design. It feels more personal and makes each and every project truly custom. SRFD: Tell us about this project. Katie: This particular project was very special as the client is a builder, Leo Thieneman & Son’s Fine Homes, which I’ve worked with for years. His vision was a modern farmhouse that would serve their family of six while still maintaining a unique space he could bring clients into. He enlisted the services of Karista Hannah with Set the Stage Interior Design & Home Decor as well as myself to help bring this vision to life. Katie: I have always loved using the color white on walls, cabinets, furniture, artwork … really anything having to do with design. I love that so many are seeing it as a color these days and not just a backdrop. Whites can be warm or cool. They can impart energy or keep a mood very subdued. It’s all in how you use it and what undertone you choose. This particular kitchen is painted Sherwin- Williams Pure White. Snowbound is another excellent Sherwin-Williams white that I use frequently. Katie: I could really do without brushed nickel right now. I know it’s most people’s safe place, their go to choice for metals, but it’s so predictable. I want to see spaces that feel collected and eclectic and you just can’t get that without mixing finishes. Join acclaimed chef Josh Capon at a brand new New York City Wine and Food Festival event on Sunday, October 15, celebrating your favorite dishes from all along the Eastern Coast. From Miami to Maine, we’ve rounded up the best of I-95 such as Maine Lobster Rolls, Philly Cheesesteaks, New York Pizza, North Carolina BBQ, Miami Cuban Sandwiches, and everything in between! Enjoy live music, ice cold beers, wine and spirits, and find out why the East Coast is the FEAST Coast at this fun new festival event! Learn more on the NYCWFF site.